SAM PuttLab analyzes more than 50 important parameters of your putting stroke and displays the results in easy to understand graphic reports. Discover your individual strengths and weaknesses for a better and more efficient training. 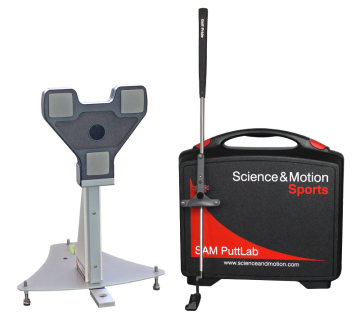 There are 4 different product editions available for SAM PuttLab: Basic, Coaching , Coaching Plus and Professional. All editions include 41 parameters for the analysis and training mode, so the training functionality is not restricted at all even in the Basic edition! New for PuttLab 6 is the Report Builder to design own report pages with custom layouts and individual tiles. The Report Builder allows to combine from a selection of more than 80 tiles in 4 different sizes. The Report Builder module is available in Coaching, Coaching Plus and Professional Edition only! The electronics are completely housed in the compact and durable receiver unit (SAM BaseUnit). The receiver unit is mounted onto a small tripod. 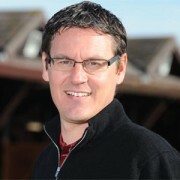 SAM PuttLab versions 5 and 6 allows users to remote control the PC software with the PuttLab App on smartphones or tablet computers.